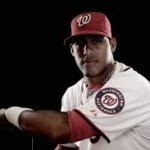 Last night the Nationals started a three-day series with the Atlanta Braves. 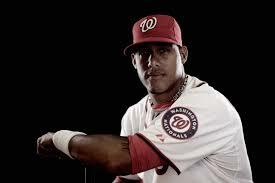 The Nats have been slumping, but one of the players who has been producing both in the batter’s box as well as on the field is utility infielder Yunel Escobar who the Nats picked up in a crazy multi-team deal that sent pitcher Tyler Clippard to Oakland. In the fifth inning Escobar had to leave the game after suffering an injury due to an aggressive slide by Braves shortstop Andrelton Simmons into third base. 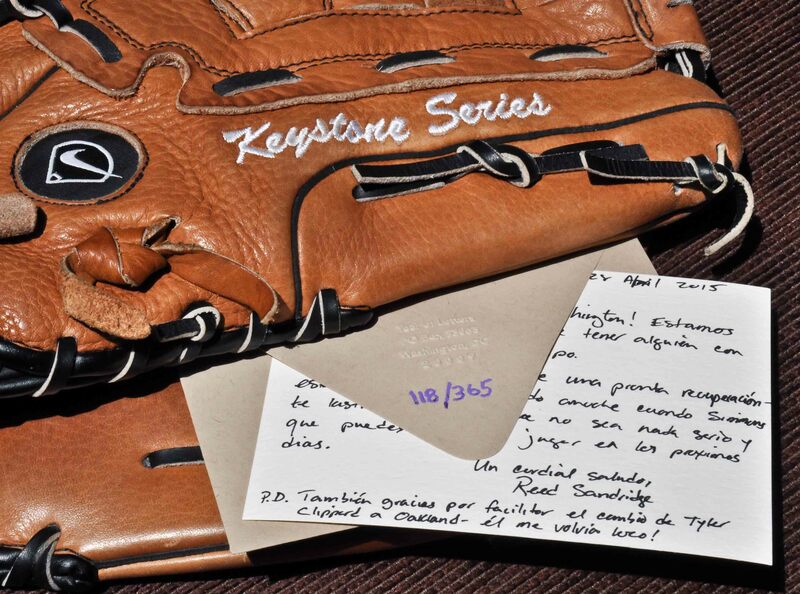 I thought I would send the Cuban-born ballplayer a letter and wish him a speedy recovery. Welcome to Washington! We are very happy to have someone with your talent on our team. I’m writing you to wish you a speedy recovery – I was watching the game last night when Simmons hurt you. I hope that it’s nothing serious and that you can get back to the field in the coming days. P.S. Also, thanks for being a part of the deal that sent Tyler Clippard to Oakland – he drove me nuts! This entry was posted in Get Well and tagged baseball, handwritten letters, injuries, Paper Source, sharpie ultra fine, sports, Washington Nationals, Year of Letters. Bookmark the permalink.